PRESS RELEASE: Extremely important case law: Changing gender marker registration for transgender refugees. Subject: Extremely important case law: Changing gender marker registration for transgender refugees. 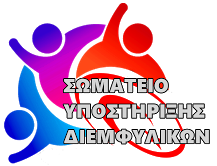 The “Greek Transgender Support Association” (GTSA) a recognized non-governmental, voluntary organization for the rights of trans community, with this press release, is particularly pleased to announce the final judgment of the Magistrates Court in Thessaloniki, in which the court accepted a request for changing name and gender marker registration for a refugee trans woman. Specifically, on March 8, following a request that filed on 30 November 2017, the Magistrates Court in Thessaloniki, examined a case of a transgender woman who is a recognized refugee, for changing gender marker and main name registration, to be consistent with her gender identity, according to the provisions of Law 4491/2017 (legal recognition of gender identity). In its decision 444E/2018, the Court accepted that her currently identification documents are registered in the male gender,which makes her particularly vulnerable due to the difficulty of identifying her in various transactions with public services, other bodies and public health services, these circumstances constitute a permanent outbreak of psychological tension and anxiety and a state of particular stress added to her in thealready burdened state of her due to the torture she had suffered in her country of origin and an insuperable obstacle to her full inclusion into the Greek social environment,while seriously damages her legitimate interests and affects her personality. Most important, however, is that although Law 4491/2017 does not include an explicit provision for the change of gender marker and main name for persons who are not registered in the Greek Registry Office and especially for transgender refugees, while Article 4 of the Law provides that the court decision is to be registered in the corresponding Registry Office (the refugee transgender woman is not registered in a Greek Registry Office), the Court accepted the request of the transgender refugee and asserted it with a view to correcting the decision of Regional Asylum Office in Thessaloniki, in order to change the gender marker and main name of registration in both documents, the refugee recognition documentand the relevant permit of stay, to be consistent with her gender identity. The Greek Transgender Support Association considers this case law of the Magistrates Court in Thessaloniki extremely important, as it is the first time that gender marker and main name changes for transgender refugees, although the legislation on legal recognition of gender identity hasn’t explicit provision. We warmly congratulate the lawyer who defend the case under the support of the Hellenic League for Human Rights, as well as the headquarter of the Magistrates Court, who took this courageous step, with Stavros Boufidisas a witness, a psychiatrist and Cashier District of GTSA, as well as the GTSA filed for the case before the court a detailed case file based on the Geneva Convention on Refugees, according to which the authorities of each state are obliged to provide documents that depict their true status, to the provisions of the Greek Constitution, according to which every person (regardless of origin) has the right to freely develop his/her personality without discrimination, in Law 4491/2017 which dictates the respect of each person’s gender identity, has put forward detailed arguments to substantiate that legal recognition of gender identity is a base for the enjoyment of fundamental rights and freedoms for refugees, while the refusal to change documents to transgender refugees is discrimination on the basis of gender, and extensive comparative legal analysis of the legislation, case-law and practices applied in the countries of the Council of Europe which all undoubtedly justify the necessity of changing the documents for transgender refugees, as well as evidence of a case where the United Nations had supported the change of documents for a refugee trans woman. At the same time, the GTSA, as stated at the beginning of the passage of Law 4491/2017, supports in every possible way all the cases that have been filed before Greek Courts, for example supports a case of a trans woman who is married and wants to change her documents, a case of a non-binary person, and moreover calls upon the State, to follow this particularly important development, to amend the existing legislation in order to apply this case-law and to make explicit provision for changing the documents for transgender refugees and to remove the restrictive conditions regarding age and married trans persons and to simplify the procedure so that it is out-of-court. Office Hours: Monday – Friday: 09.00-14,00 & 17.00-20.00. ~ από Σωματείο Υποστήριξης Διεμφυλικών στο Ιουνίου 29, 2018. This entry was posted on Ιουνίου 29, 2018 at 9:46 πμ and is filed under Uncategorized.You can follow any responses to this entry through the RSS 2.0 feed.Both comments and pings are currently closed. Previous: ΔΕΛΤΙΟ ΤΥΠΟΥ: «Εξαιρετικά σημαντική νομολογία: Μεταβολή καταχώρισης του φύλου σε τρανς πρόσφυγες».